Editor's note: I obtained this photo from my copy of the book. I am told that the author, Bill Rhode, died recently. I wasn't able to contact the Kennikat Press. The book is out of print, but you may be able to find a few used books online. ONLINE RESOURCES If you search for "Ivan Gates +aviation", using the Google search engine, (7-16-05), you will find about 57 links. Each of them offers important information regarding his life and career. A good place to start might be the following. 1918-1958 Ivan and Clyde were partners in the Gates Flying Circus. This page on the Washington State University Libraries website offers a very comprehensive revue of their activities. You can access the page by clicking on the title above. Transcribed by Bob Davis, 7-9-05 "He became interested in aviation in 1911 and built home-made gliders. The new, sensational appealed to him. He bought the rebuilt wreck of a Green Pusher plane and taught himself to fly. He had a bunch of contracts in his pocket to fly the Green at early exhibitions when a serious auto acident prevented him. The noted French flier Didier Masson was over here in 1912 and Gates persuaded Masson to fly for him and fufill the contracts. Masson was a big hit. Gates then added Nels J. Nelson, Fred Hoover, and Bird Boy Art Smith to his entourage." 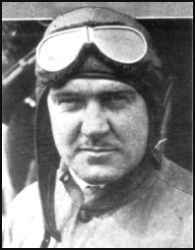 Ivan R. Gates was born was born in Rockford, Ill. on January 15, 1890 and died in 1932.